Digestive disorders are an extremely common problem that people face today and the epidemic only seems to be getting worse. We have all experienced digestive discomfort in some form, but far too many people deal with this on a chronic level. Most people even choose to live with it until it becomes too unbearable without assistance of drugs for relief. Every year we spend 80 billion dollars on drugs related to digestive issues like bloating, constipation, diarrhea, acid re-flux, and heartburn (NewsTarget). Yet, our body has all of the necessary tools properly digest. So, why are we being pushed to rely on these drugs for relief? There are many different factors that could contribute to digestive issues, but first thing is first, you must evaluate what you are eating. Just because your neighbor can effortlessly digest a cheeseburger and fries, does not mean your body should as well. Avoiding fried, spicy, fatty, processed foods can alleviate the systems of digestive dysfunction almost immediately. Changing your diet is a great quick-fix to these issues, but it still may not be getting to the root of the problem. You must understand what’s going on internally. 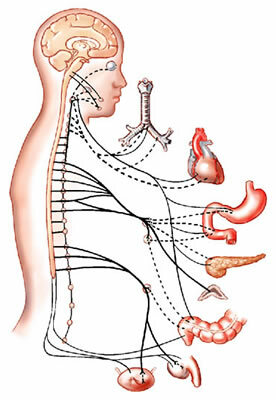 There are many different nerves that operate our digestive system. 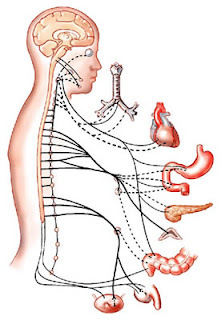 For example, the Vagus nerve runs from the brain stem to the atlas bone (connecting the skull to the spine) and controls all organs that operate digestion. Often a subluxation, or misaligned vertebra, will block nerves from firing in this region and digestive functions then struggle to perform. When this misalignment occurs it can be seemingly impossible to rid the discomfort, tempting us to rely on drugs for relief. The all-natural solution: regular chiropractic adjustments. Chiropractic care to maintain alignment in your spine will prevent these subluxations from happening and cure that stubborn stomach discomfort with no medication needed. A recent study taking on individuals with chronic digestive problems showed that 70% of these participants were able to cure their digestive problems and keep them under control after just 12 weeks of chiropractic care and no help from drugs whatsoever. It’s important to understand that you should first consider how to maintain the tools your body has given you before running to foreign substances like laxatives and antacids for temporary relief. There is no need to waste money on, or risk the integrity of your health for drugs. Your body is a powerful healing machine and when you help to assist it in performing its natural functions it is capable of anything.